Dr. Raksha Karthik, an exponent of Pandanallur style of Bharatnatyam started learning the art of dancing at the age of seven under the tutelage of Guru Smt. Anupama Jayasimha at Vishwa Bharathi Natya Shala, Bangalore. 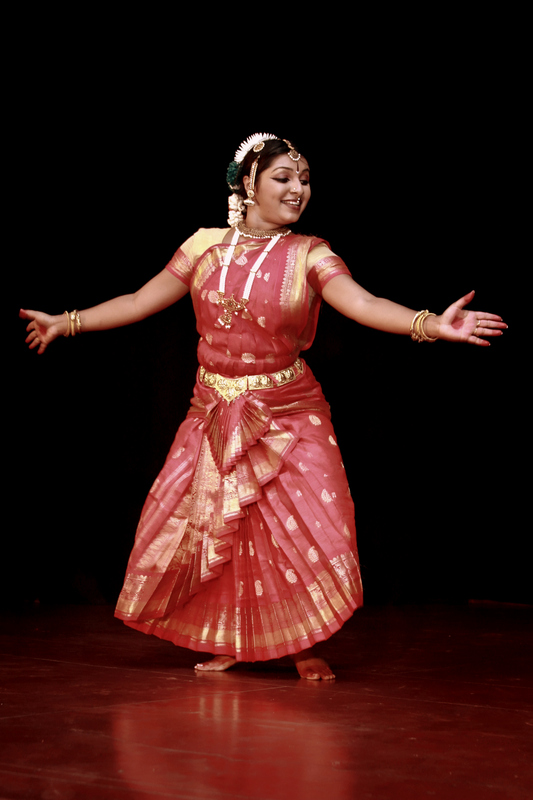 She has been trained in the advance forms of Abhinaya or the expressional techniques in Indian dance by Guru Smt. Bhanumathi at Nritya Kala Mandiram. Being a Consultant Dental Surgeon and having a bright career as a Dental Surgeon keeps me on my toes for most of the week. But my appetite for life is not satiated with just looking at teeth! My love for Classical Dance makes me go further than just being a Consultant Dental Surgeon and therefore I decided to teach dance. I am a classical dancer from the last 23 Years and had learnt, but then I decided that I should share my art with people. My day starts early and ends late, but I enjoy each minute of it! Life has more to it than just looking at Teeth and looking after home! I got married in July and am enjoying every moment of it! After learning dance and teaching it to regular children-Teaching visually impaired kids beckoned to me as a perfect platform for Community service and hence I regularly teach the visually impaired and disabled. As a dancer I look at dance as a river that flows through the hills and mountains, a river which inputs anything as it flows through the moors at times not flowing but also forming a little pond and still evoking the nature… As a performing artist, my concern is how I can extend this great art form to the water that stagnates at the moors and thus making the specially abled who could be visually impaired or verbally impaired or both hearing and verbal impaired or simply underprivileged to teach this great ritual.